Daniel Bryan is WWE World Heavyweight Champion once again. However, this is not the same Daniel Bryan who won the WWE World Heavyweight Championship more than 4 years ago in the main event of WrestleMania 30. That Daniel Bryan was the leader of the YES Movement, the ultimate underdog. He was the sympathetic every-man who was being held down by the evil Authority but never took the easy way out and kept fighting for his dream. He was the ultimate babyface and the WWE Universe treated him as such. But, that was 4 years ago. This is the New Daniel Bryan. And the New Daniel Bryan, to put it quite bluntly, is a massive jerk. He has turned on the WWE Universe, constantly referring to them as "fickle", constantly low-blows his opponents and uses the environment to shame anyone and everyone. The New Daniel Bryan has been a revelation; I never thought that I could ever boo Daniel Bryan again after his WrestleMania 30 win, let alone after he came back from retirement. But boo him I must, because he is just so darn irritating. Every villain needs a strong hero to oppose him. The problem is that SmackDown Live has a bit of a babyface problem. So why not bring one of these men over from RAW to face the New Daniel Bryan? 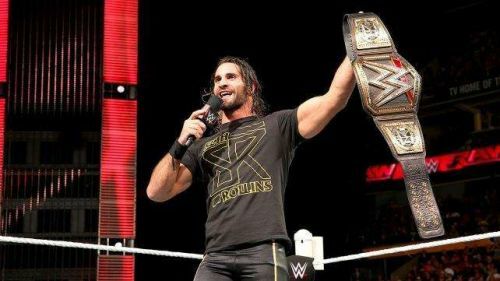 Seth Rollins is arguably the hottest babyface on Monday Night Raw. Now that he has lost the Intercontinental Championship, he really should be in contention for one of the world championships. While facing Brock Lesnar is always an option, WWE could flip the script by having him win the Royal Rumble, and move him over to SmackDown Live to challenge Daniel Bryan for the WWE Championship. Seth Rollins looks like a Greek God, is one of the best wrestlers in the entire world, a very good promo, has a unique catchphrase, and is wildly popular with the fans. This is a Superstar who has face of the company potential. Facing and defeating Daniel Bryan at WrestleMania 35 will help him achieve that potential.